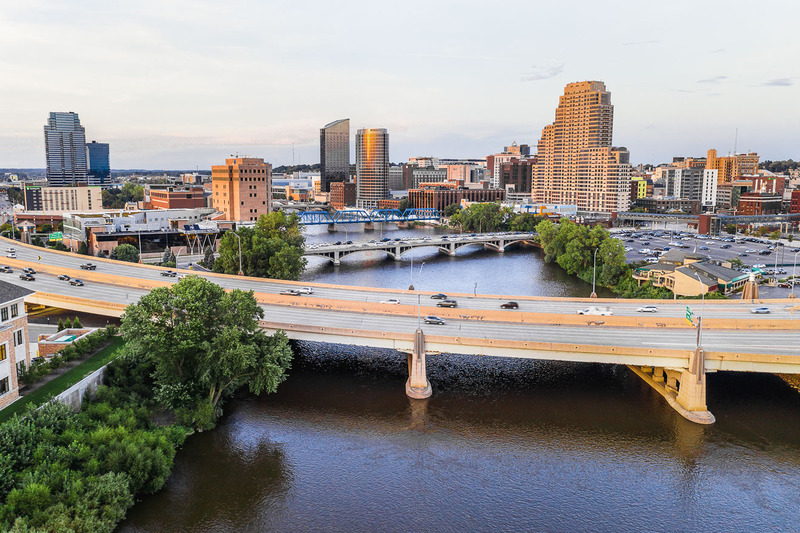 What to eat, drink and do in Grand Rapids, Michigan. With just a short drive to Lake Michigan, it has a local food and drink scene worth exploring. Just over two months ago, on my thirty-fifth birthday weekend, I had an opportunity to go exploring Grand Rapids. Besides layovers at the Detroit airport, I had only been to Michigan once before for a quick trip to Ann Arbor. So I was feeling extra grateful that I was able to go back and see more of that freaking gorgeous state (big thanks to Liz for hosting me). Grand Rapids has an exceptional food, beer and cocktail scene, with an emphasis on local and seasonal sourcing. It is surrounding by stunning natural beauty and has an abundance of recreational and outdoor activities to take advantage of. And although the summertime is a perfect time to visit and the city is vibrant and brimming with fresh produce, it really doesn’t matter what time of year you visit because you will always have more than enough to do. These are my favorite places to eat and drink, and my favorite things to see and do while exploring Grand Rapids. We started our trip out at the newly opened, Linear. An evolving space that highlights seasonal and local produce while offering a thoughtful modern American menu. 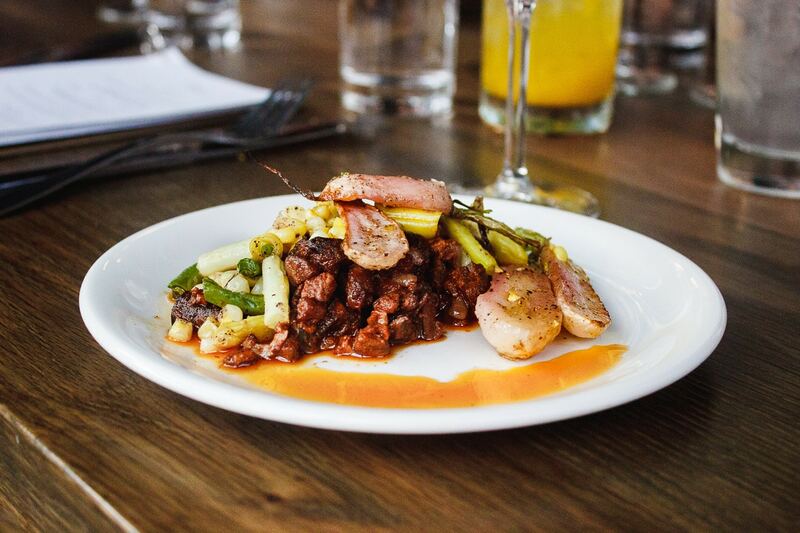 Go to Zoko 822 to experience Basque inspired cuisine that features Northern Spanish and Southern French small plates, an extensive gin collection and inspired cocktails. Field & Fire Bakery is known for their exquisite bread making – not exactly great for gluten-free people like me. But I did fall in love with their clearly marked gluten-free breakfast offerings at their cafe location. The Vegan Hot Mess Skillet is incredible. 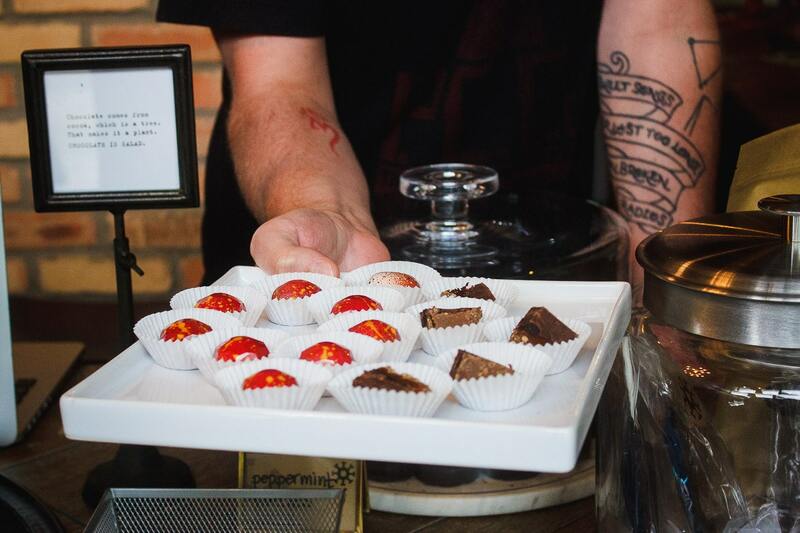 If chocolate is your thing, do not leave Grand Rapids without going to MoKAYA. Seriously, just don’t. What they do there is serious and outstanding. I regret not bringing home more. If you appreciate genuine Mexican food, then MeXo is a must. Their house margarita is just perfect. It’s not too sweet and not too strong. And their menu is everything I want – a refined cuisine with just a little bit of comfort. For all your healthy cravings, green juice, superfood smoothies and açaí bowl needs head to Fruition. If I had to pick my favorite place to eat in Grand Rapids, I couldn’t. But I could pick two. Butcher’s Union and The Soverngard are my top picks. While they offer super different menus and dining experiences, they both offer an extremely knowledgeable and hospitable staff, quality ingredients and a passion for what they do. I wouldn’t go to Grand Rapids without eating (and drinking) at both of these fine establishments. Mushroom and vegetable main at Linear. The house margarita at Mexo. Sundried tomato truffles at MoKAYA. If I lived in Grand Rapids, I could see myself hanging out at Stella’s Lounge a lot. It’s definitely my underground, low-key scene. 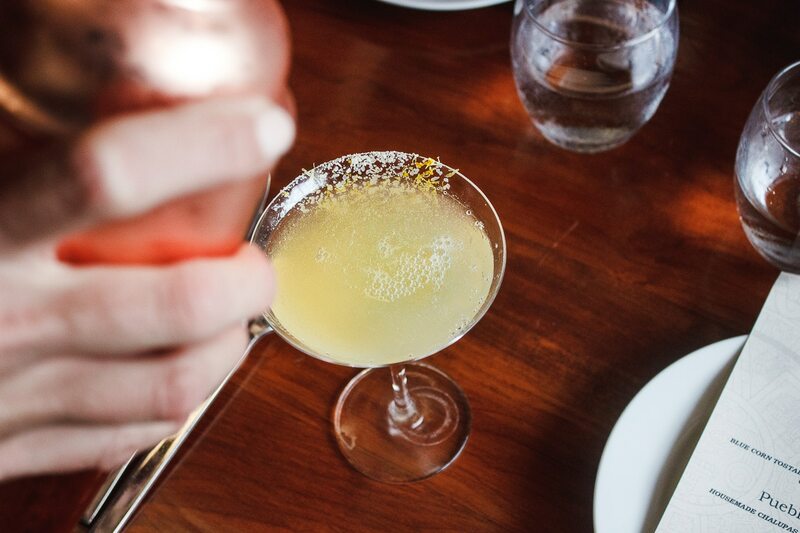 For a martini with an epic city view head to Cygnus27. For a martini, glass of rosé, fire pit, charcuterie board and/or dessert head to the rooftop lounge, Haute at New Hotel Mertens. But make sure you make reservations because this place is magical, and popular. Squibb is great for everyone. They have delicious coffee, beer, wine, kombucha and also great snacks. 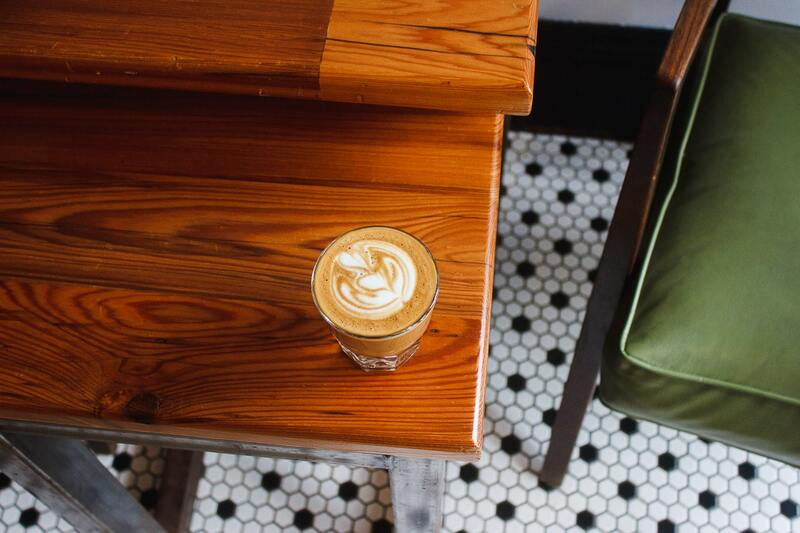 Beyond Squibb, there is so much delicious coffee to get after in Grand Rapids. 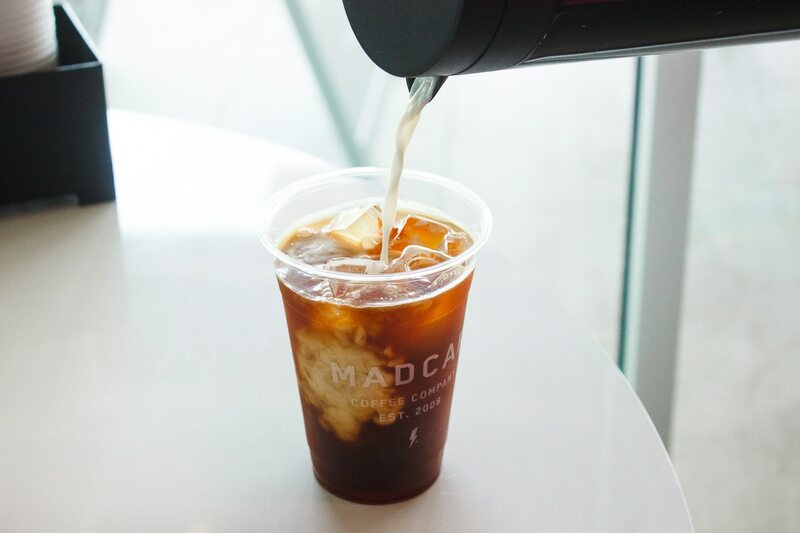 My favorite coffee shops are Madcap Coffee and Rowster Coffee. And no trip to Grand Rapids, aka Beer City, is complete without checking out some of their breweries. Some local favorites are New Holland Brewery and Founders Brewing Co.
Iced coffee from Macap Coffee at the Downtown Market. 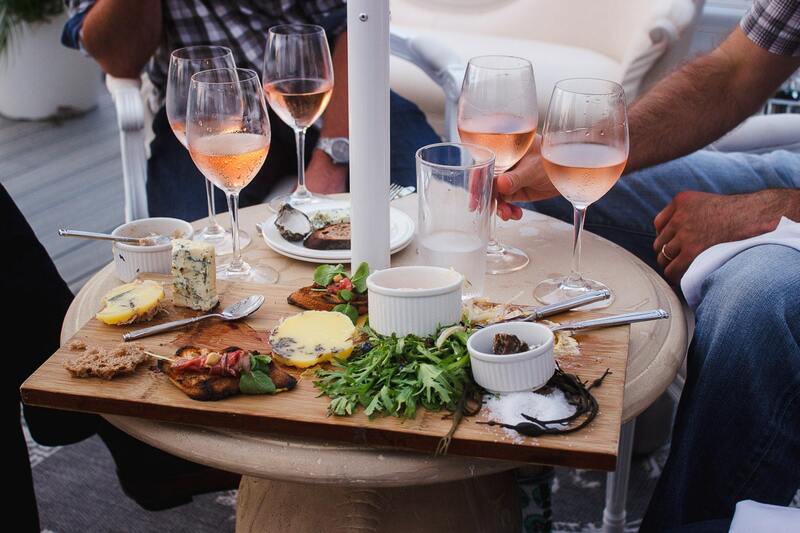 Rosé and charcuterie on the rooftop lounge at Haute at New Hotel Mertens. One of my favorite places in Grand Rapids is the Fulton Street Farmers’ Market. This year-round marketplace provides a diverse, inclusive and vibrant community that offers convenient access to high quality, locally grown, farm fresh products. If checking out some of the best agriculture in the country is of interest to you, please go here, buy all of the tomatoes and then preserve them in sauce form. The Grand Rapids Downtown Market is a mixed-use facility that brings local food production, education and entrepreneurship opportunities together under one roof. The facility features a market hall with twenty-plus vendors, two full-service restaurants, a rentable incubator and plenty of spaces for private classes and events. Support local and shop the Wealthy Street District. It houses a strip of beautiful independent shops. My favorites include Fox Naturals, Woosah Outfitters and Dime & Regal. Take a self-care day or get your whole family together for a day of exploring at the Frederik Meijer Gardens & Sculpture Park. A top cultural destination in the Midwest known for its quality gardens and botanicals. Make a rainy or cold day better at the Grand Rapids Art Museum. Beaches, golf courses, kayaking, paddle boarding, biking and fishing – Grand Rapids has it all. Head outside and see for yourself. Or click here for more recreation resources. 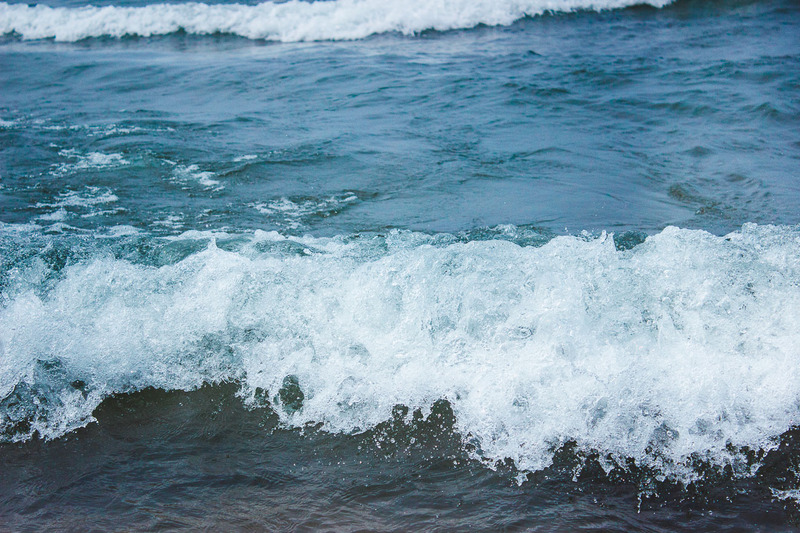 When you’re done exploring Grand Rapids, take a short thirty minute drive to Lake Michigan. 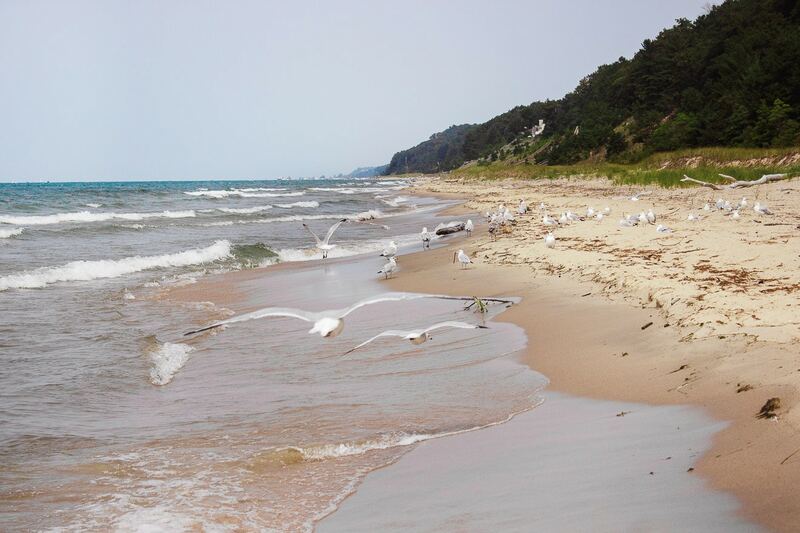 Specifically Saugatuck Dunes State Park, a hike-in-only accessible beach. Its far out horizon, dunes and sandy beaches will totally make you forget that you are even in the Midwest. 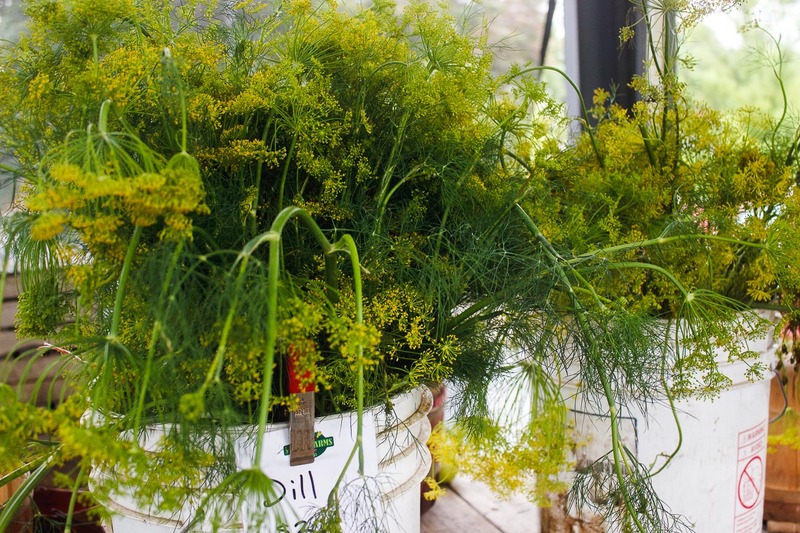 Buckets of dill at the Fulton Street Farmers’ Market. 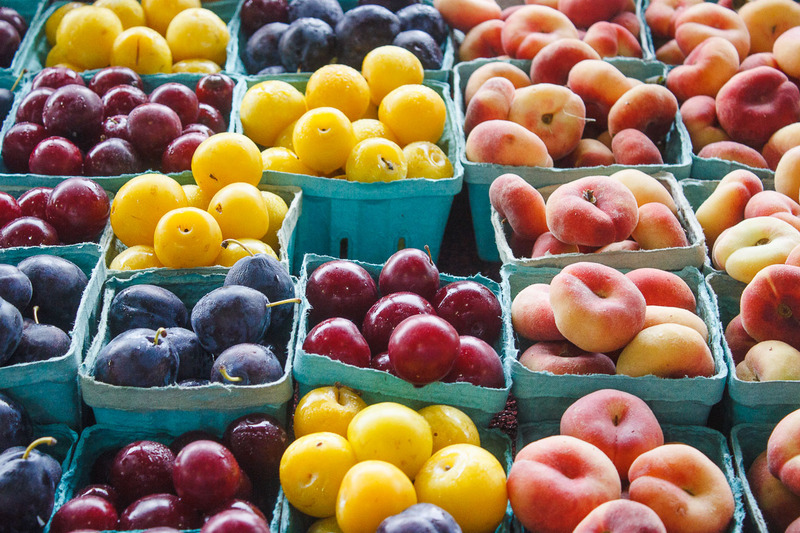 Plums, pluots and peaches at the Fulton Street Farmers’ Market. 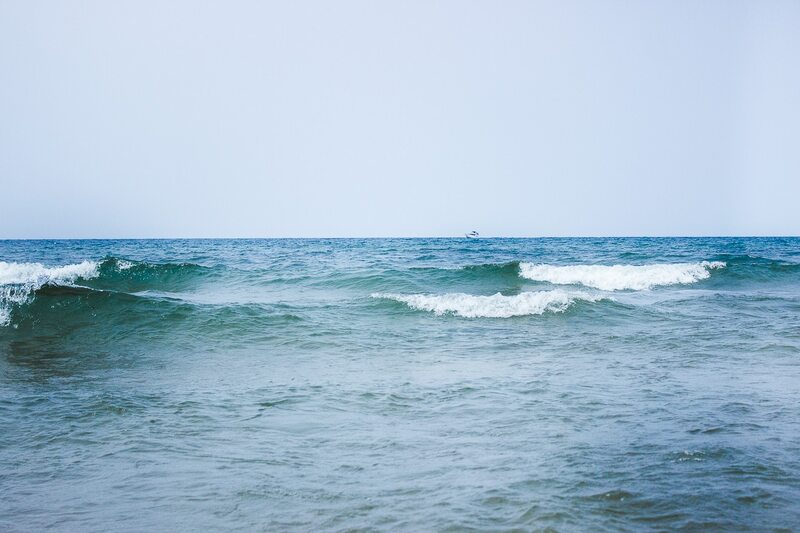 Horizon view of Lake Michigan. Waves crashing at Lake Michigan. The dunes at Saugatuck Dunes State Park. The post is in partnership with Experience Grand Rapids; all opinions are my own. Beautiful scenery – fresh and interesting food! As a “past” confectioner – the truffles shown were of interest to me! Your insight gave a new ruffle to the pages of what to see and the “why go to Lake Michigan” would be fun!! !